This entry was posted in Uncategorized and tagged Chamonix, hawker, Lizzy, Mont Blanc, Nepal, Running, Spartathlon, The North Face, TNF, TNFUTMB, Ultra, ultrarunning, UTMB by talkultra. Bookmark the permalink. 5 UTMB victories with the quickest coming in 2011 with a time of 25 hours and 2 minutes. The fastest time was in 2010 on the shortened course, with a time of 11 hours, 47 minutes and 30 seconds. 5 Times, with a fastest time of 25:02 hrs (on full-length course). 5 time winner; 3 times full course and 2 times weather shortened course. 25:02:00 full course best, 11:47:30 weather shortened course best. Five Champion of UTMB,2005, 2008, 2010, 2011, 2012. Fastest time of 25:02:00 on 2011. Lizzy won the UTMB 5 times. Five Times in 2005, 2008, 2010, 2011, 2012 with the fastest time of 25:02:00 on 2011. 5 times winner with the fastest time of 25hrs and 2 minutes on the full course (2011) and 11hrs 47 minutes and 30 seconds on the short course in 2010. 5 time winner; 3 times full course and 2 times weather-forced short course. won 5 times…best time 25h02min…. Lizzy has won UTMB 5 times (2005, 2008, 2010, 2011, 2012) with the fastest time of 25:02:00 (on the full UTMB course) in 2011. Won it 5 times, fastest 25hr 2min on the full course. Lizzy’s won UTMB five times. On the regulation course, her PR is 25:02:00 (2011), but she also won on the shortened course in 2010 in 11:47:30. 5 time winner – 3 full course and 2 weather shortened course. 11:47:30 weather shortened course best. An UTMB winner 5 times, the fastest being 25 hours and 2 minutes. Won it 5 times, fastest time 25hr 02min on the full course. 5 UTMB wins (2 of them on shorter courses). Best time 11:47:30 in 2010 (88km). 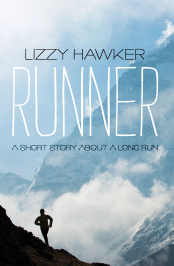 Hi, for the two questions: Lizzy has won 5 times and 25:02 was her best over the full course. Lizzy has won UTMB 5 times. The fastest time would be 11 hours, 47 minutes and 30 seconds on a shortened course. On the full length course it would be 25 hours and 2 minutes. She won it 5 times. Her fastest time 25hr 02min on the full course. 5 Times, with a fastest time of 25:02 hrs (on full-length course). With 11:47:30 on the weather-shortened course. 5 times winner witha fastest time of 25:02. A true inspiration and the book would be a great read to help in training for my first ultra, a 100k in July. Really enjoyed the interview The answer to the question for the book competition is 5 times winner with the fastest time of 25hrs and 2 minutes on the full course (2011) and 11hrs 47 minutes and 30 seconds on the short course in 2010.